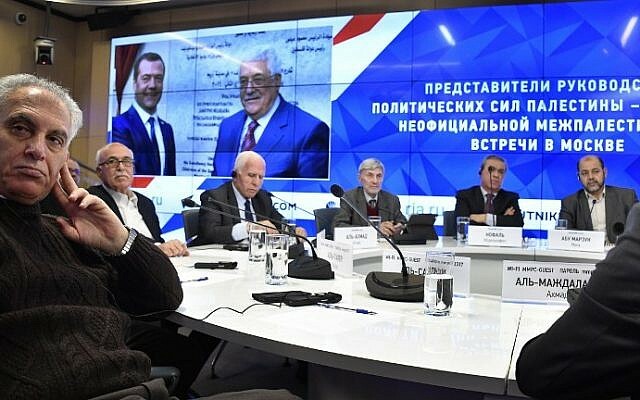 After three days of reconciliation talks in Moscow, the main Palestinian parties on Tuesday announced a deal to form a national unity government prior to the holding of elections. “We have reached agreement under which, within 48 hours, we will call on [Palestinian Authority President] Mahmoud Abbas to launch consultations on the creation of a government” of national unity, senior Fatah official Azzam al-Ahmad told a press conference, speaking in Arabic. After the government is formed, the Palestinians would set up a national council, which would include Palestinians in exile, and hold elections. “Today the conditions for [such an initiative] are better than ever,” said Ahmad. 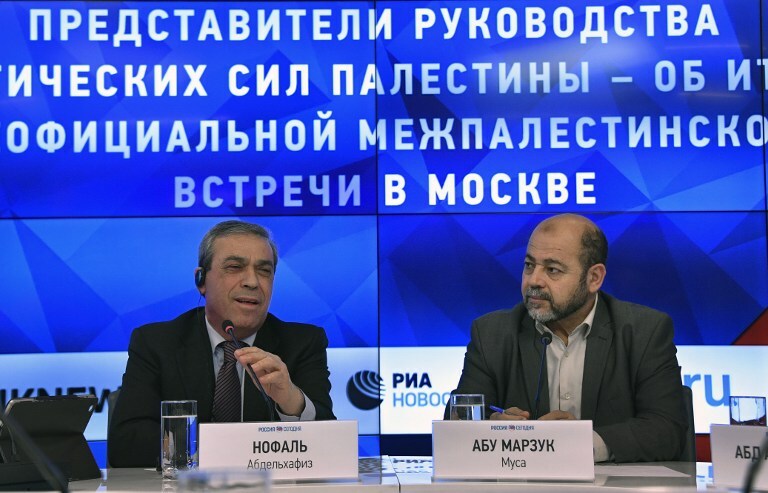 The non-official talks in Moscow began on Sunday under Russian auspices with the goal of restoring “the unity of the Palestinian people.” Representatives came from Fatah, terror groups Hamas and Islamic Jihad, and other factions. Abbas’s secular Fatah and the Islamist terror group Hamas have been at loggerheads since the latter seized Gaza in a bloody coup in 2007. Last year the Palestinian government postponed the first municipal polls in the West Bank and Gaza Strip in 10 years, after the Ramallah-based high court ruled they should be held only in the Fatah-run West Bank. The last time the Palestinians staged elections in which both Hamas and Fatah took part was in 2006, when Hamas claimed an unexpected victory. 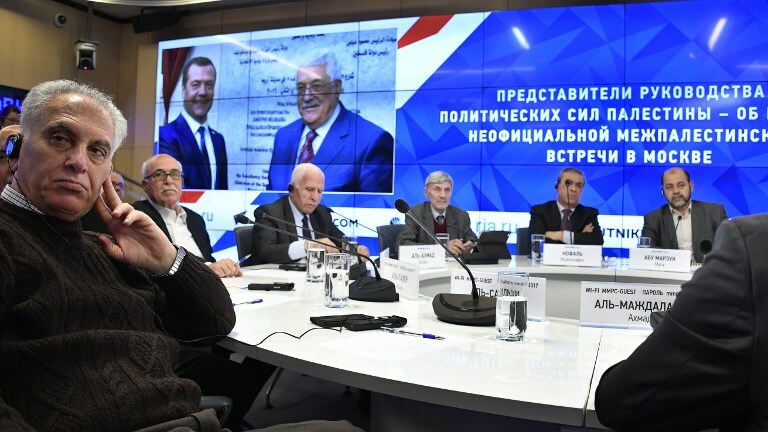 The Palestinian representatives also met on Monday with Russian Foreign Minister Sergei Lavrov, and asked him to dissuade US President-elect Donald Trump from carrying out a campaign pledge to move the US embassy in Israel from coastal Tel Aviv to the capital Jerusalem, which is also claimed by the Palestinians as the seat of government for their future state. 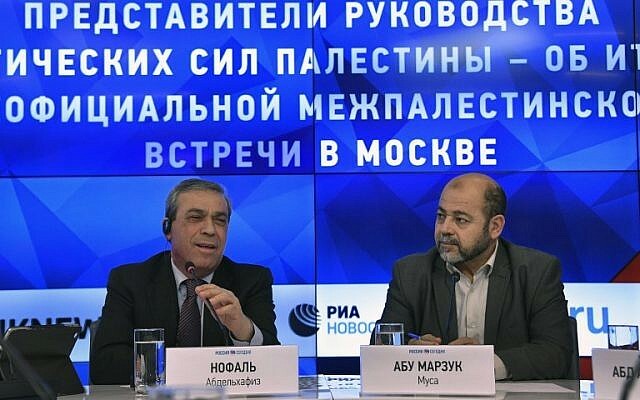 Ahmad and Moussa Abu Marzouk of Hamas both spoke derisively of the Quartet — the foursome of Middle East peacemakers comprising the United States, Russia, the EU and UN — in its years-long effort to end the Israeli-Palestinian conflict. “The Quartet’s work completely failed. 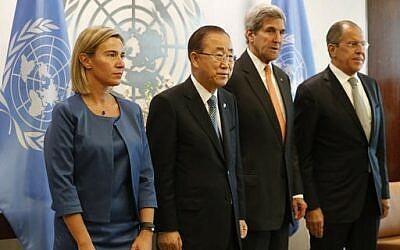 It was unable to advance the decisions taken by the international community, including [UN] resolutions,” said Ahmad. 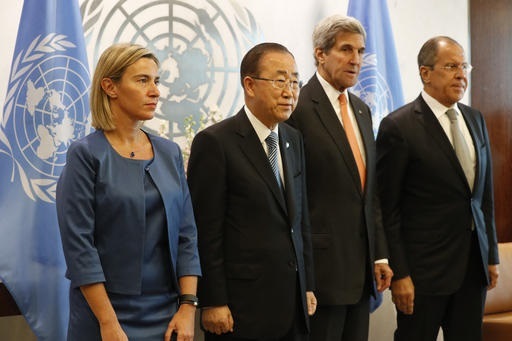 Abu Marzouk, a senior official in the terror group, said he no longer wanted to work with the Quartet but instead with countries and organizations on an individual basis.